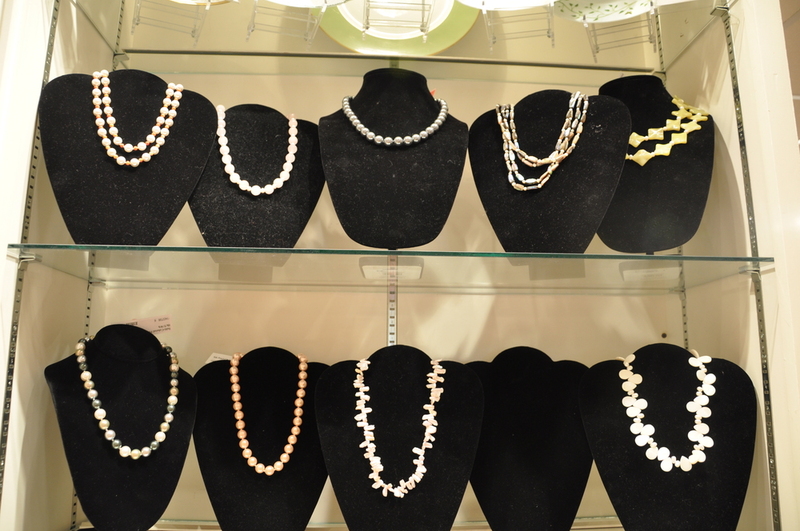 Check out these photos of our pearl necklaces at The Silver Thistle in Boonsboro Shopping Center in Lynchburg, Virginia! I brought my oldest daughter with me to see the new display. If you can’t get to the Silver Thistle then check out our e-shop, most of these designs are still available but not for long!